...shows us that even a tiny accent of green makes any card even fresher and more inviting; especially when colored by an expert! ...proves that festive foliage needn't be *green* (and really OUGHT to be sparkly) with her beautiful white-on-white bauble creation! 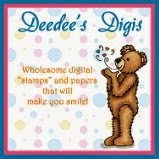 ...reminds us how much we love diecuts (especially the gorgeously realistic kind!) and how much elegance embossing folders add to an already lovely design! 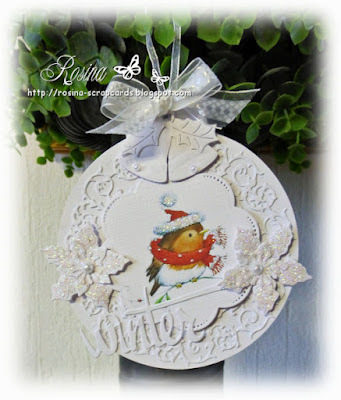 Many thanks to every single cardmaker who joined in our festive foliage fun, you never cease to inspire us! We'll be back at midnight with a brand new prompt we hope will make your creativity sparkle and shine! Lovely cards good choices for winners, again I missed the "boat" waiting for Friday now. Thanks for the shout out! That was a very pleasant surprise. 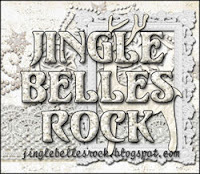 Jingle Belles rock. Thanks for honoring my card! Congratulations to Lorraine and Rosina, too!! All the cards for this round were AMAZING!